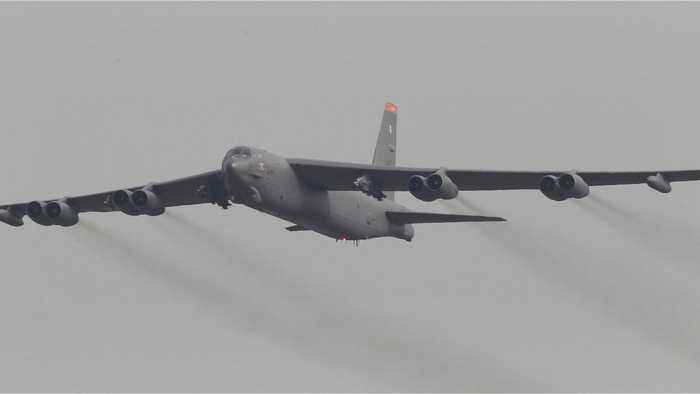 According to Business Insider, US Air Forces Europe - Africa announcedThursday that US Air Force B-52 Stratofortress heavy long-range bombers are flying into Europe this week, at a time Russia is making threats against the US as a Cold War-era missiles ban collapses. A Bomber Task Force consisting of bombers from the 2nd Bomb Wing out of Barksdale Air Force Base in Louisiana are deploying to the US European Command area of operations. 10, 2016, FILE PHOTO AP PROVIDES ACCES TO THIS PUBLICLY DISTRIBUTED HANDOUT PHOTO PROVIDED BY THE U.S. AIR FORCE.